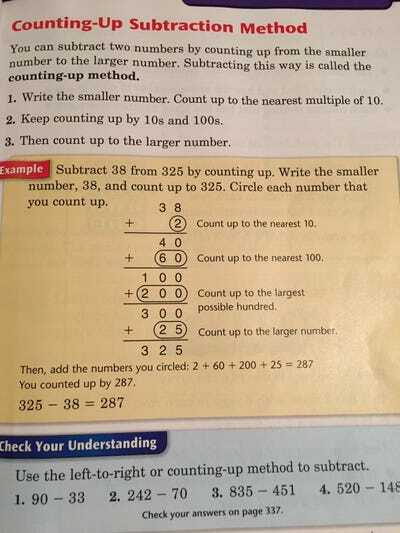 The Common Core’s approach to maths has proved among the most contentious aspects of the controversial national teaching standards. In short, the new methods for addition and multiplication — namely, the use of number lines and multiplication boxes — are meant to promote a stronger conceptual understanding of maths, rather than techniques for getting an answer on paper. While this method supports the Common Core’s goal of putting more of an emphasis on critical thinking, it can be a headache for parents who grew up on rote learning and were taught completely different ways of doing maths. On occasion, these methods may seem overly complicated. How do these principles look in action? The idea is to break the problem into smaller parts based on place value and to provide a visual reference for thinking about operations. Here, we’re adding 178 and 225, so we start at 178, add 200 to get 378, then 20 to get 398, then 5 to get to our answer of 403. Breaking the problem up into these parts is intended to reinforce students’ understanding of underlying concepts of place value. With this method, rather than the standard “carry-the-1” approach, students are taught to see subtraction as a way of establishing the distance between two numbers. And the easiest way to do that is to establish the distance between various signposts, as with the number line. A number sentence is another way of saying “equation.” For the above problem, we see that the unknown quantity, to be represented by a box, is the sum of the 17 blue cars and 25 green cars, so the answer would be something like 17 + 25 = [grey box]. Equations like this really are read out as sentences relating two quantities to each other, leading to the term number sentence. 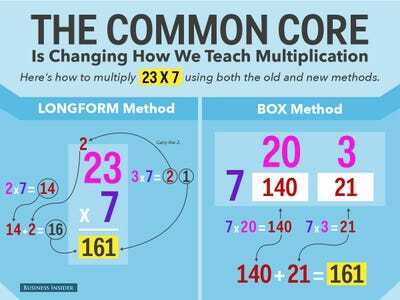 The box method better illustrates what’s going on in a multiple-digit multiplication problem, making students understand that 23 times 7 is just the sum of 20 times 7 and 3 times 7. 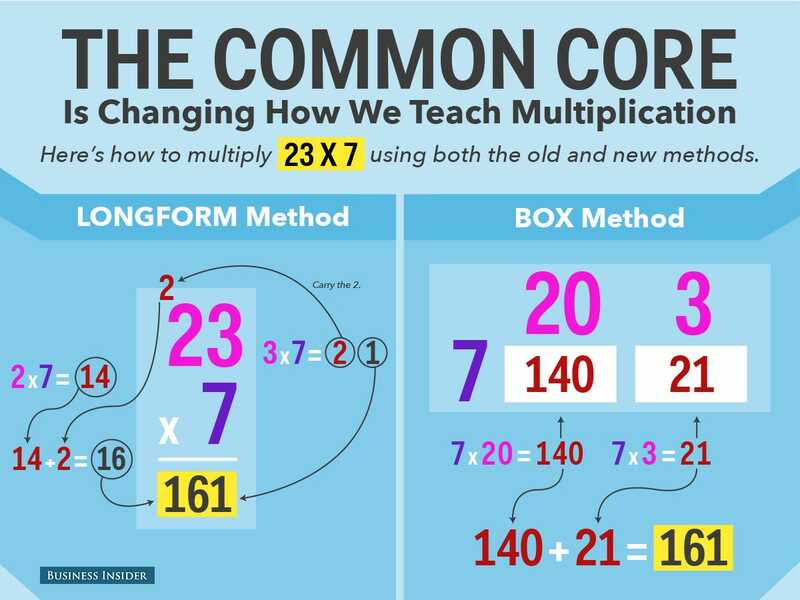 This place value breakdown is also the basis of the standard method, but box multiplication makes it more explicit.